The Predaflex™ glove features a 100% cotton brushed interlock liner and a fully coated rough nitrile finish for durability and comfort. The 9792 sports a 12" gauntlet cuff for outstanding protection. 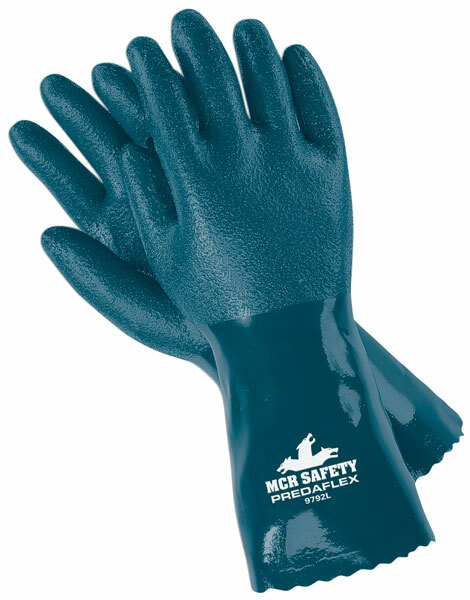 With an outstanding abrasion score, this glove will stand up to the punishment that your job can dish out.